Lyn Feldbaumer is a Community Relations Liaison for MeadowWood Behavioral Health Systems in New Castle, Delaware. She has worked in the Mental Health field for over 11 years. First serving as a Drug and Alcohol counselor where she earned her Certified Associate Addiction certification. Presently Lyn works in the Marketing Department of the hospital providing training and business development. She is a past Board Member of New Directions, an organization providing education and support to those suffering with mental illnesses. Also, as a past Vice President of Military and Community Partners, Lyn worked closely with members of the Armed Forces and their families who encountered difficult times due to multiple deployments. Lyn has been a member of the Critical Incident Stress Management team for 8 years and also serves as a Board Member of the Trauma Survivors Foundation. Lyn is very proud of the work she does with these various groups helping all to attain a better quality of life. Tom D'Alessandro is a financial services executive with a diverse background, leading organizations through transformational change, evolution and growth. He has experience building, developing and leading motivated collaborative teams that consistently exceed expectations. He has taken on progressively more strategic roles in Strategic Sourcing, Procurement, Vendor Management, Risk, and Human Resources during his career. 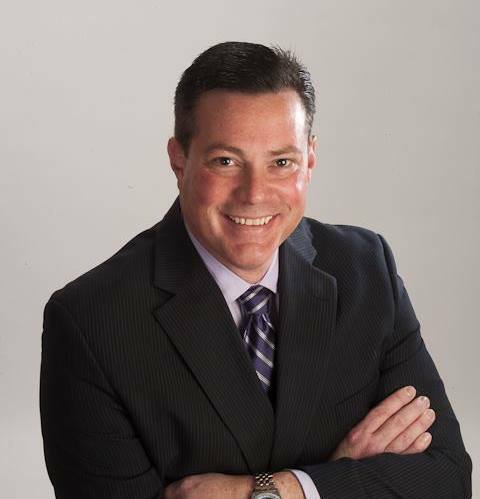 Tom is currently Director of Contingent Workforce Procurement with M&T Bank. Tom is a Life Member of the Christiana Fire Company in Newark, Delaware. He was an active member for over 20 years as a firefighter and Nationally Registered Emergency Medical Technician – Basic. Tom served as President, Vice President & Board Chair, Director, Public Information Officer and Treasurer during his tenure. Tom was President of the New Castle County Volunteer Firefighters Association in 2005. He represented the Delaware Volunteer Firefighters Association on the Delaware Emergency Medical Services Oversight Council [DEMSOC]. He served as Treasurer of the Delaware Children's Fire Safety Foundation and as a Director with the Delaware Center for Justice. Tom earned a Bachelor’s of Business Administration degree in Human Resources Administration from Temple University in Philadelphia, Pennsylvania and completed the Consumer Bankers Association Graduate School of Retail Bank Management at the University of Virginia in Charlottesville, Virginia. Harold Bozeman is a sworn member of the Wilmington Police Department since Sept 30, 1996 and was promoted to Sgt. Feb 22, 2013. He currently serves as the team and training coordinator for the WPD CISM team and is a long-time volunteer with the New Castle County Public Safety CISM team. In March 2013, He was appointed to serve as the team and training coordinator for the Wilmington PD Crisis Intervention Team. His team is currently staffed by 14 members. After completing his initial CIT training he was invited to sit on the Law Enforcement Advisory Board at NAMI DE and the State of Delaware CIT training committee. Harold is a COPT Certified Police Instructor and has been developing and presenting various curricula, to include CISM, weapons of mass destruction response, hostage negotiations, and incident response to terrorist bombings for the Wilmington Police Academy since 2005. He is an instructor for the Office of Domestic Preparedness, certified through the New Mexico Institute for Science and Technology and Louisiana State University, to present their material for Incident Response to Terrorist Bombings, Law Enforcement Protective Measures, Law Enforcement Response to WMD Incidents, and Prevention and Response to Suicide Bombing Incidents. Harold is a certified Field Training Officer, trained through Pennsylvania State University. He attended the Penn State Police Officer Supervisor Initial Training and the FBI's Law Enforcement Executive Development Academy for Police Supervisors as well as their Command Leadership School. He has been on the FOP Lodge #1 board of directors since August 2008 and was elected President of the Lodge in October 2013. His primary job is supervisor to the Business Improvement Districts patrol unit, a nine-officer team counting myself. In that capacity he provides safety training and talks to members of the business community and sit on the Security Managers Boards for the Downtown Wilmington Business Improvement District and the Riverfront Wilmington Business Improvement District. Lynn Davis is a VP of Trading for Fidelitrade in Wilmington, DE. She has worked in the Financial world for 20 years. Prior to entering the world of Finance, Lynn worked 6 years in the healthcare industry as an emergency Nurse, and in-home care nurse. Lynn has a BS in Nursing, from Del-Tech, a BS in Marketing, and a Masters in Marketing, and Human resource management from Goldey Beacom College in Wilmington, DE . Lynn graduated from ST. Marks HS. Lynn has volunteered at several Trauma Survivor Foundation events, and feels she will bring fresh ideas on how to provide for the foundations community involvement. Lynn has a passion for organization and event planning. Lynn is a proud University of Delaware Blue Hens Football supporter since going to her first game at 3 months old. Otto Steffers is a Specialty National Account Manager for United Rentals. Otto has worked in the construction equipment rental industry for 16 years. Otto has a BS in International Business Management from Goldey Beacom College. Otto Graduated from Palmer HS, in Colorado Springs, CO. Otto lived in the Netherlands for 10 years while growing up and speaks Dutch Fluently. In 1988, Otto was selected to the USA Men’s Junior Field Hockey Team and in 1989 was Selected to the USA Men’s Field Hockey team and competed in 1996 Olympic Games. Otto has volunteer at many Trauma Survivors Foundation events and is heading up the TSF Annual Golf Outing. Otto feels he will bring an ability to organize events and generate support for the Foundation. Aja Beech is an internationally published author with over a decade of experience in organization development, communications, and marketing. Her experience includes creating written materials for print and online distribution, outreach to diverse communities, staff and volunteer management, event planning and promotion, and fundraising. Her journalism and op-eds have appeared at: Al Día News, The Huffington Post, The Philadelphia Inquirer, PennLive, and WHYY. Beech is a poet and her work in this genre appears at: The 5-2, Poems on Crime, Apiary Magazine, Certain Circuits, Incandescent Mind, Small Portions Journal, and Twelve Winters Press. She has served as a sub-Committee Member at New Kensington Community Development Corporation (NKCDC) and as a Board Member at Pennsylvanians for Alternatives to the Death Penalty. In 2012, she was awarded a Leeway Art and Change Grant and in 2011, she was named a Creative Connector in Philadelphia. Beech is a graduate of Temple University, with a BA in History, trained in Victim Advocacy, certified in Mental Health First Aid for adults and youth. Since the murder of her cousin in 2001, in a domestic violence incident, she has volunteered in victims services. As part of the Resilient Voices Speakers Bureau through the Office of the Victim Advocate at the Pennsylvania Office for Victims of Crime, she speaks throughout the state about surviving trauma. As an advocate for victims of crime, she has stressed the importance of meeting the needs of those victims and the needs of the first responders that assist victims every day. Michelle Hill is the Executive Assistant to the CEO of Produce Marketing Association (PMA) in Newark, Delaware, a trade organization representing companies from the global fresh produce and floral supply chain. She is passionate about their vision of growing a healthier world, and enjoys working closely with both senior leadership and an international Board of Directors in helping to bring that vision to life. Prior to joining PMA, Michelle enjoyed over 15 years success in the financial services sector with companies including Bank of America (MBNA), M&T (Wilmington Trust), and Sallie Mae. She also spent three years teaching English/Language Arts in Cecil County, Maryland, which she counts as one of her most rewarding professional experiences. Michelle is a graduate of Wilmington University, where she earned her Bachelor of Science in Middle Level Education, in addition to 24 credits towards a Masters in School Leadership. Michelle is the proud mother of five children, one of whom is a survivor of the Route 91 Harvest Festival shooting in Las Vegas, Nevada. It was this tragedy that inspired her to take action and become involved with the Trauma Survivors Foundation. She was a proud participant in the March for Our Lives in Washington, DC in March of 2018, and has advocated locally for the Sandy Hook Promise Foundation. Michelle is a contributor for The Loved Life, recent winner of the News Journal’s Reader’s Choice Award for Best Local Blogger, is an avid supporter of the Blood Bank of Delmarva, and also volunteers for the Christiana Care Health System. She believes that her background in communication, education, and administration, combined with her passion for this cause, will allow her to affect great change and create a lasting impact within the Trauma Survivors community. Megan O'Donnell is an NAFC certified personal trainer and founder of the award winning website TheLovedLife.com, a motivational self-help blog dedicated to the mantra that we should all "live love and love life." With over a decade of experience in business management in the financial industry, including both back office operations and marketing, she has the project and people management experience necessary to facilitate meaningful connections within the community. Along with sitting on the Board of the Trauma Survivors Foundation, Megan currently serves as an active volunteer for Sandy Hook Promise, helping to build connected communities for our children across Delaware and reduce the risk of potential school violence, and the March of Dimes, working to combat premature birth. All three of these causes are extremely important to Megan on a personal level, as a mom of premature babies, and a survivor of the Route 91 Harvest Festival shooting in Las Vegas on October 1, 2017. She is passionate about making sure others who have gone through similar experiences feel supported, valued and understood. Megan's accomplishments include being named one of the Delaware Business Time's "Top Forty Under Forty" in 2016, and winning the 2018 Reader's Choice award for best local blog. She is a born and bred Delawarean, graduating from St. Mark's High School and holding a Bachelor's degree in Hospitality Business Management from the University of Delaware. She lives in the Pike Creek area with her husband, Ron, twin girls, Carmela and Rylee, and her dog, Emmitt.